March 21, 2013 -- Feedback Needed! 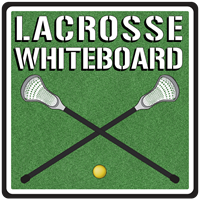 How are you using Lacrosse WhiteBoard? What new features would you like to see? We are looking to begin work on the next incremental update to all of the sports white board applications and would like your feedback. Please use the "Contact Us" screen to let us know what you would like to see. We are hoping to add animation and puck "attachment" in the next release, but what else would you like? Lacrosse Whiteboard version 2.0 is a NEW entry to the suite of Sandcrater Software Sports White Board apps and implements many of the same features found in Hockey WhiteBoard version 2.0. The Lacrosse WhiteBoard manual is also available for download now. Thanks to all of our users, and don't forget to like us on Facebook! There are no feedback items to date. Lacrosse Whiteboard, like the other sports white board applications, was derived from Hockey Whiteboard. Please see the history section of Hockey Whiteboard for more details!